EagleAID often reminds us that the all-electric car market is growing poorly in Europe and this is story again in EagleAID's latest report for August. "Electric car sales pace, far from growing, is slowing." "August electric car registrations in Western Europe, compared with the previous month, have slipped for 2nd month running." "A surprise slowdown in the underlying pace of electric car registrations in Western Europe has added to lingering concerns in electric car industry circles that an already slower than expected pace has now slowed to a mere crawl." "Of this total, Norway on its own accounted for almost half the industrys total August haul." "Instead of picking up steady pace as earlier expected, following the market debut of new volume built electric cars from comparative heavyweights like BMW and Volkswagen, exclusively compiled figures from AID show that for the second month running since June this year, the number of new registrations failed to rise from the previous month." Well, comparing month-to-month, with August being one of the slowest sales months in the year in Europe, says little, and year-over-year numbers are way up. 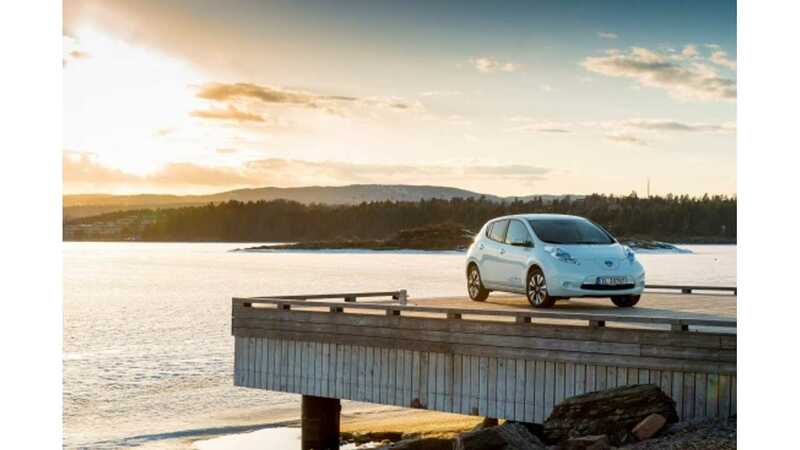 The truth is however that almost half of all new EVs registered in Western Europe are registered in Norway - 1,736 new battery-electric passenger cars plus some 38 delivery EVs. 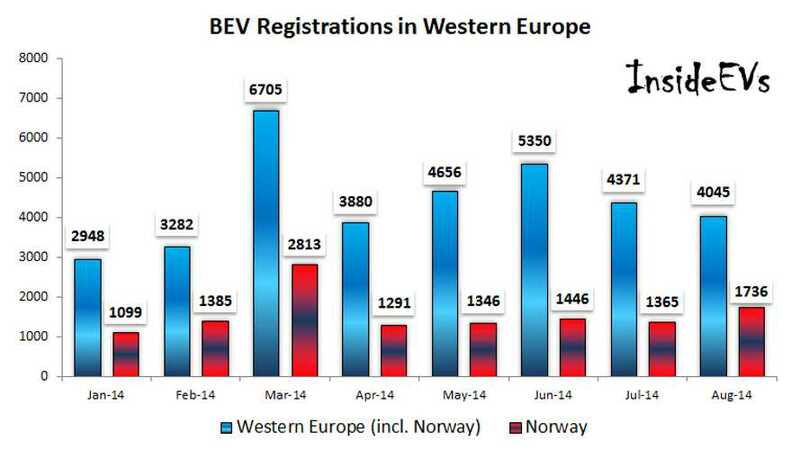 The good thing is that BEV sales in Western Europe exceed 35,000 in 8 months of 2014. Including plug-in hybrids and extended range electric cars, the whole of Europe should be at~ 60,000 this year. And that figures proves that sales are up.